Rigor Hill Press, 9780990949909, 304pp. Thomas never saw the world in shades of blue and gray. But with the Civil War approaching, he and his family must adapt to the new world around them if they are to survive. Storytelling and historical fact come together in this powerful start to the ambitious ten-part series, Your Winding Daybreak Ways. 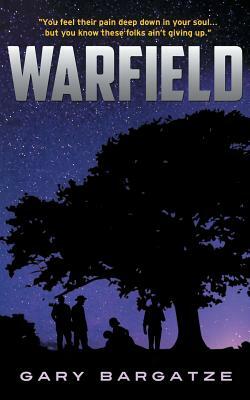 With a brief prologue and the coming-of-age novel, Warfield, author Gary Bargatze launches an epic saga, one that weaves history, science, literature, the arts and music into a powerful narrative of how one family adjusts to the ebb and flow of American society over two hundred years.